After 12 years of homeschooling, the Speights family of Brandon, Mississippi, celebrate graduation day in the spring of 2014. Pictured from left are Hannah, Keith, Lisa, and Haley. I wasn’t always a fan of homeschooling. I believed pretty much every stereotype you might imagine about homeschooling. So, when my wife, Lisa, first talked to me about homeschooling our twin daughters, Hannah and Haley, I was at first skeptical. After much discussion and prayer, though, we decided to take the plunge. At the time, I thought we would homeschool the girls for perhaps a few years before they went back to a traditional school, either public or private. Little did I know that our daughters would ultimately complete 12 years of homeschooling. Here are some things we learned along the way. I initially viewed homeschooling as a strange and totally out-of-the-norm endeavor. However, I was surprised to find out how many successful people were homeschooled. The great inventors Alexander Graham Bell and Thomas Edison were taught at home. So were several U.S. presidents, including Teddy Roosevelt, Franklin D. Roosevelt, and Woodrow Wilson. There’s a long list of famous writers in the club, such as Robert Frost, J. R. R. Tolkien, and Virginia Woolf. Quite a few current celebrities also were homeschooled, including Hilary Duff, the Jonas Brothers, Taylor Swift, and Tim Tebow. After we began homeschooling Hannah and Haley, we realized that there were many more homeschoolers than we thought there were. By the time our girls were in high school, nearly 1.8 million students across the nation were being taught at home. One great byproduct of the growth in popularity of homeschooling is that there’s a lot of support available. We were blessed to be a part of two homeschool groups during our daughters’ school years. These groups enabled homeschooling families to join together to provide more options for their students. Homeschooling has also become a substantial market for educational resource companies. These companies offer a wide variety of textbooks and other material for teaching kids at home. Our girls often participated in reviewing the books in advance, which helped them become more engaged in the broader learning process. Lisa did the real work in homeschooling our girls – and it wasn’t easy. She taught junior high and high school math in public schools before coming home when Hannah and Haley were born. Nearly everything she did as a public school teacher she also did as a homeschool teacher, from making lesson plans to grading tests. In some ways, Lisa’s time as a homeschool teacher was more challenging than what she faced as a public school teacher. Instead of preparing for one subject area to teach, she had to prepare for all of them. Hannah and Haley didn’t get to coast, either. They started school at 8 a.m. each day. They had classwork and homework just as they would in a regular school. They took quizzes and tests. They studied most of the same subjects they would have studied at any local school. As for me, I’ll admit that I had the easiest role of all – “principal.” If there were any discipline problems during the school day, I’d get to handle them when I came home from work. (Yes, those issues arise in any school setting.) I also helped with some of their classes, especially during their high school years. Homeschooling certainly involves working hard, but it also entails working smart. One of the things we found was that there were some inherent benefits in homeschooling that made it more efficient than a traditional school setting. For example, in most schools there’s a significant amount of time taken up between classes and in taking roll at the beginning of each class. That non-value-added time disappears with homeschooling. 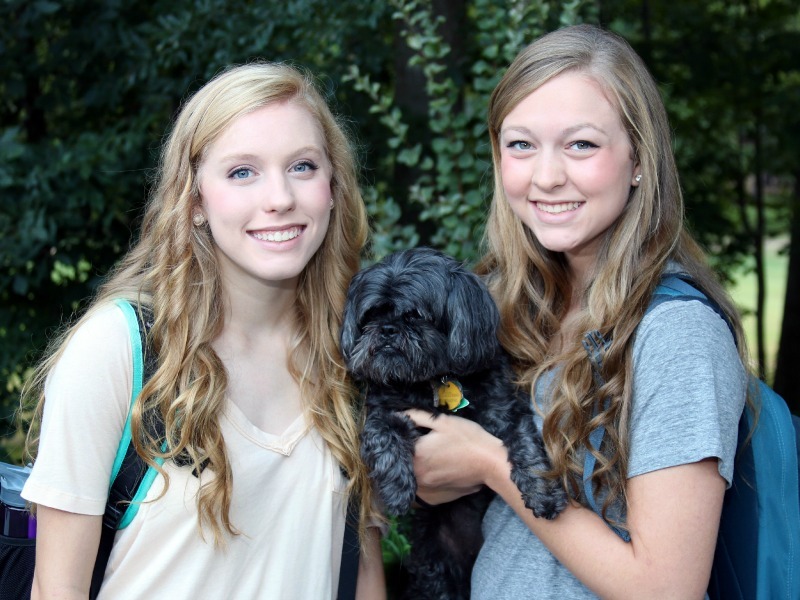 As a result, Hannah and Haley were able to squeeze the same amount of schooling into a shorter daily schedule. Lisa has a B.S. in mathematics and taught math in public schools. I earned my college degree in industrial engineering and worked with a technology company. However, there were several subject areas in which neither of us had any level of expertise. What was the biggest issue we ran into along the way? No hablamos español. The good news for homeschooling parents is that they don’t have to know it all. We solved the Spanish issue by purchasing DVDs of a Spanish course for homeschooling students. Some homeschoolers we knew used a curriculum where their children participated in classes via satellite with trained teachers. There were and are plenty of ways for homeschooling parents/teachers to tackle those subjects that prove particularly challenging. Hannah and Haley participated in several classes through the years that weren’t at our house. Our homeschool group frequently sponsored co-op classes where students would get together for a subject. Our girls enjoyed taking art from an accomplished artist. They participated in public speaking classes. Hannah and Haley especially liked the biology lab co-op class where they got to dissect earthworms, frogs, and starfish. From an educational standpoint, there was probably nothing more important for us than the flexibility that homeschooling allowed. Our girls were able to learn at their own pace in every subject. Usually that meant they moved quickly, but in some areas Lisa was able to spend more time to make sure both Hannah and Haley fully understood the material. The flexibility also allowed us to enjoy more things as a family at the most opportune times. We were able to go to Disney World, go snow skiing, and take a cruise to the Caribbean – all at times when the crowds weren’t as bad as they are during normal family vacation times. While education in any setting must be a serious undertaking, we found that it was important to make homeschooling fun. For example, we let Hannah and Haley name their school. Anytime the girls filled out a form that asked the school they attended, they would write “Harvard.” Annabell, our dog who was also homeschooled but didn’t seem to retain too much of the material, became the school mascot for the Harvard Shih Tzus. There also were the much-anticipated pajama days. Every now and then, Lisa would allow the girls to do school in their pajamas – and sometimes in their beds. That tradition started when they were in the early grades and continued right up through their senior year. One misconception that I had initially related to socialization. I was worried that our girls wouldn’t be around other kids enough if they were homeschooled. That turned out to be a non-issue. Hannah and Haley always participated in extracurricular activities. Hannah took ballet, jazz dance, karate, and gymnastics at various times during her school years. 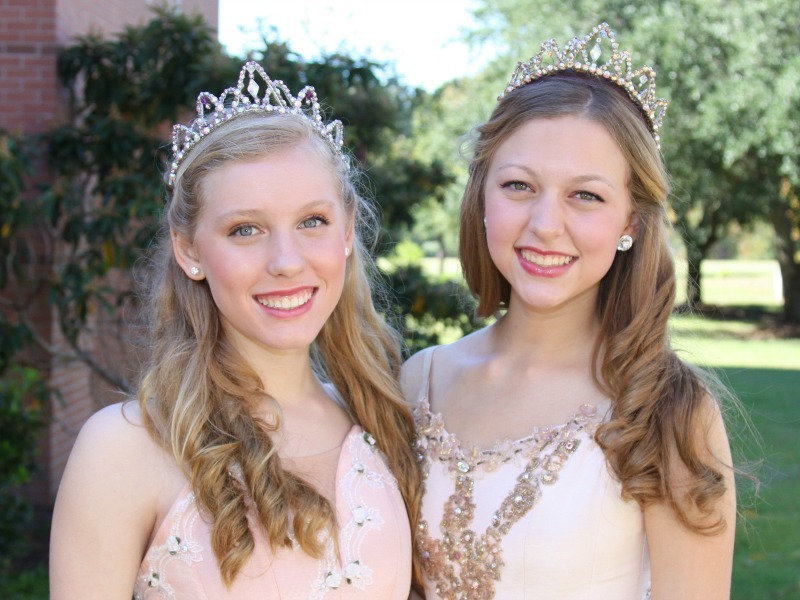 She participated in the Distinguished Young Women competition during her junior year. Haley focused on dance and became a soloist with the Mississippi Metropolitan Ballet. Both girls also were active in our church’s student ministries, sang in the student choir, and helped teach children’s classes. Our homeschool group offered plenty of opportunities for socialization as well. The co-op classes I mentioned earlier allowed students to get together frequently, as did practices for the various plays presented by the group. There were also plenty of field trips and service projects where all the homeschooled kids enjoyed getting together. What about the things that typical students get to do – for example, attending football games, going to the prom, having a graduation ceremony? Hannah and Haley didn’t miss out on any of these things. The ultimate goal for any school is to prepare students to move to the next step in life, which for many involves college. I’m grateful that our girls’ experience with homeschooling appears to have prepared them well. Hannah and Haley together decided to first attend Holmes Community College for a year before transferring to Mississippi College (MC). They say they went from homeschooling to Holmes-schooling. Both made President’s List their first semester with 4.0 grade point averages, were asked to join the Phi Theta Kappa academic honor society, and have nice scholarships awaiting when they start at MC in the fall. It’s not just about academics, though. I’m convinced that homeschooling our girls allowed us to instill our values more effectively than we would have been able to otherwise. That’s not to say that all homeschooled kids adopt their parents’ values and traditional school students don’t. There are plenty of cases that prove otherwise. However, for us, I think it made a difference. Yes, I was initially skeptical about homeschooling. Now, though, with my daughters in college after 12 years of homeschooling, Lisa and I can both honestly say that if we had to do it all over, we’d do it again. Hannah and Haley say the same thing. Every year, we asked them if they wanted to continue homeschooling or if they wanted to go to a traditional school. And every year, they responded that they wanted to homeschool. They can see even more clearly now how they benefited from the experience. And they joke that planning their class reunion will be a piece of cake. To read more from Keith Speights, visit The Motley Fool, a multimedia financial-services company that provides financial solutions for investors through various stock, investing, and personal finance products. Keith regularly contributes articles that focus primarily on healthcare investing. Interesting. Reminder to self: look into homeschooling vs public vs private schools. We have been considering home schooling our 2 children (going into 8th & 9th grades). This was very helpful and encouraging. A very encouraging article for parents thinking of homeschooling. It was most uplifting to me and I enjoyed reading it very much. Also, I’m so glad Hannah and Haley are continuing to do so well and wish them all the best for a bright future. God’s blessing to all of you. Cynthia Ammons Lingle. Beautiful to hear from a family who has done it for 12yrs! Congrats!